HealthHub takes your privacy and security very seriously and is committed to providing you a safe and secure online environment. You asked, and we listened! We recently asked our users what we could do to improve the HealthHub app, and one area identified was that it took too many steps to access some of the features. As part of our continuous efforts to enhance users' experience, we are now making it easier for you to keep track of your health using our HealthHub mobile app. Complete a one-time registration and sign in to access your dashboard – giving you one-click access to your most frequently accessed HealthHub e-services via the highly-secure SingPass login environment. 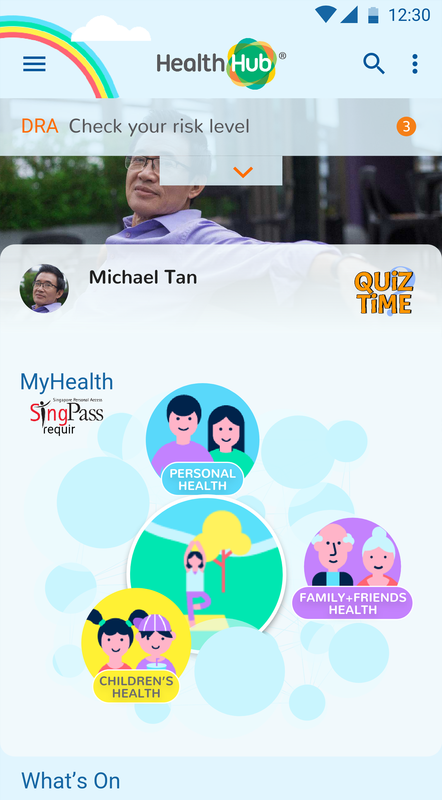 From your dashboard, you can easily navigate to your desired content and access HealthHub myHealth using your SingPass to view health records and medical appointments from participating public restructured hospitals, polyclinics and specialist outpatient clinics. With Quiz Time now conveniently accessible from your dashboard, you can level up your health knowledge more easily. We have also streamlined the menu to make it easier for you to look for the rest of our services — including those you have yet to try. First time using the HealthHub app? Here are some key features to get you started! HealthHub now offers you 24/7 access to view, cancel or make new appointments from a single app*. Whether at home, at work or on the go, managing and keeping track of your medical appointments is now more convenient with HealthHub. *Selected Public Healthcare Institutions (PHIs) are already on board with HealthHub, with more PHIs coming on board soon. Caregiving is challenging, especially if you have both elderly parents and young children to care for at home. Our caregiver services can help to free up more time for you to be an emotional pillar of support for your parents and a strong, nurturing hand for your children. 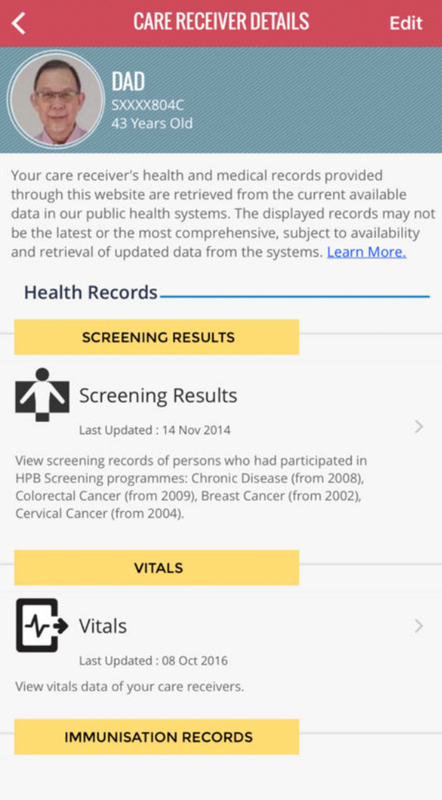 Care-receivers can grant explicit consent to their nominated caregivers to view their personal health records via SingPass authentication on HealthHub. As caregivers, do discuss with your care-receivers prior to accessing HealthHub. 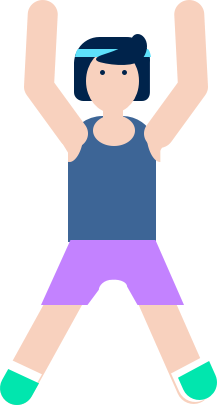 Finally, enjoy rewards for leading a healthy lifestyle! 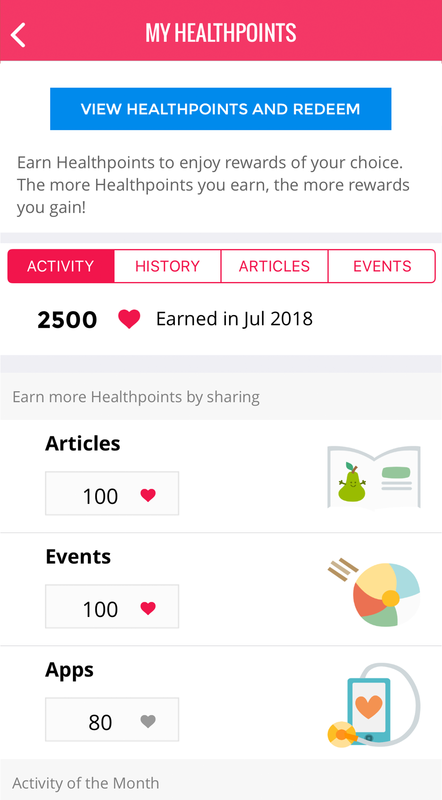 Earn and redeem your Healthpoints directly from the HealthHub app at more than 40 partners, including 7-Eleven, FairPrice, Watsons and Swensen’s. You can also redeem Passion Card TapForMore points or TransitLink e-Voucher. Download the HealthHub app now to enjoy these rewards! Download the app now from Google Play or Apple App Store! For further enquiries or feedback, please call HealthHub contact centre at 1800 225 4482 or email us at hpb_healthhub@hpb.gov.sg. </h2><p>You asked, and we listened! We recently asked our users what we could do to improve the HealthHub app, and one area identified was that it took too many steps to access some of the features.</p><p>As part of our continuous efforts to enhance users' experience, we are now making it easier for you to keep track of your health using our HealthHub mobile app. Complete a one-time registration and sign in to access your dashboard – giving you one-click access to your most frequently accessed HealthHub e-services via the highly-secure SingPass login environment.</p><p>From your dashboard, you can easily navigate to your desired content and access HealthHub myHealth using your SingPass to view health records and medical appointments from participating public restructured hospitals, polyclinics and specialist outpatient clinics.</p><p>With Quiz Time now conveniently accessible from your dashboard, you can level up your health knowledge more easily. </p><p></p><h2>New Streamlined Menu to Make Healthy Easy</h2><p>We have also streamlined the menu to make it easier for you to look for the rest of our services — including those you have yet to try.</p><h2>First time using the HealthHub app? Here are some key features to get you started! 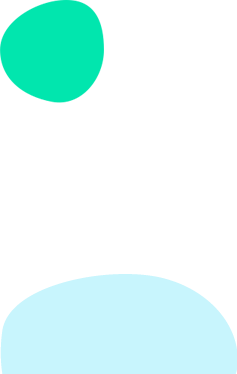 </td></tr><tr class="ms-rteTableEvenRow-default"><td class="ms-rteTableEvenCol-default" colspan="2" style="width&#58;50%;"><p>HealthHub now offers you 24/7 access to view, cancel or make new appointments from a single app*. Whether at home, at work or on the go, managing and keeping track of your medical appointments is now more convenient with HealthHub. </td></tr><tr class="ms-rteTableEvenRow-default"><td class="ms-rteTableEvenCol-default"><p>Caregiving is challenging, especially if you have both elderly parents and young children to care for at home. Our caregiver services can help to free up more time for you to be an emotional pillar of support for your parents and a strong, nurturing hand for your children. </p><p>Care-receivers can grant explicit consent to their nominated caregivers to view their personal health records via SingPass authentication on HealthHub. As caregivers, do discuss with your care-receivers prior to accessing HealthHub. <p>Download the app now from Google Play or Apple App Store! For further enquiries or feedback, please call HealthHub contact centre at 1800 225 4482 or email us at <a href="mailto&#58;hpb_healthhub@hpb.gov.sg">hpb_healthhub@hpb.gov.sg</a>. <div class="ExternalClass1514EFE2A13E45C2AB076C6869A916B9">Established in 2001, the Health Promotion Board (HPB) has a vision to build a nation of healthy people.